Selling to your existing customers is much easier than attracting new ones. So keep them coming back. Do you want more returning customers? The kind of customers who spend more and visit more often? Then a loyalty program could be the perfect tool to add to your customer retention arsenal. Why? You may ask. Let’s start with the most reasonable fact: because it makes you more money. That is, of course, if you do it the right way. Here’s a quick stat that’s worth remembering: Keeping a current customer costs you 3-10 times less than acquiring a new one, depending on the industry you are in. According to WordStream, small businesses spend between $9,000 and $10,000 trying to attract new customers on Google paid search campaigns in just each month on average. Just image how much more efficient you could be if you could switch that re-activating existing customers and getting repeat business. According to Forbes, 79% of online shoppers will turn to a competitor if they experience poor customer service in the first week. That’s a fast way to lose a customer, right? At this stage, it’s not just about customer support, it’s also about the way you show your customers that you value them for making a purchase at your store. A loyalty program provides the perfect vehicle to do this. But how? Let’s take a little detour into the field of social-psychology. This positive experience also invokes a desire to ‘return the favour,’ motivating shoppers to purchase from you again. This social rule is called reciprocity and you can watch this video of Robert Cialdini, a reciprocity expert, for more details on how this phenomenon plays out in the mind. The power of reciprocity: if a customer receives positive treatment - like loyalty program rewards - they will be more likely to ‘return the favour’ in the form of more visits, purchases or referrals. The point here is that customers are loyal because they want to save money. This is the traditional (spend-a-dollar and earn-a-point) loyalty program approach that appeals to a wide range of customer groups. But it’s not enough! Nowadays, 76% of shoppers expect some kind of recognition besides monetary benefits, like a special treatment perk that gives them a smoother, faster and more personalized shopping experience. Customers don’t want to only buy things. They want to be part of your brand’s story. They want to be part of your community. So let them collect points for their purchases, referrals, and social activities, by participating in contests and much more. If they feel that doing business with you is fun and entertaining, they will stick around even longer. 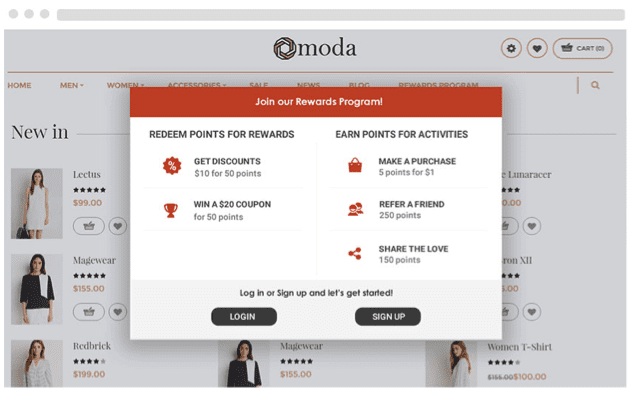 While traditionally the main benefit of loyalty programs is saving money, you can also make the shopping experience more engaging with gamification techniques - like inviting customers to contests and incentivizing them to share your pages. Imagine this. You’re at a relaxed dinner party and your friend asks you which mobile phone you would recommend. You have just purchased the latest iPhone and you love it, so you list all of the phone’s greatest features to convince your friend to buy it as well. They go home and think it over, and sure enough, next week they order the very same iPhone. Okay. Now let’s say that you want your customers to replicate this satisfied recommendation scene virtually. A loyalty program allows you to do this, at an exponential rate. How? If your loyalty program rewards customers for referring their friends, they will be more than happy to spread the word about you. The most common tactic to use here is a dual-sided reward mechanism, where both the referrer and his referral benefit from the process. The power of customer referrals can beat even the best optimized Adwords ads, because customers only refer friends who could be really interested in your products. A study from McKinsey also revealed that friend referrals generate more than twice the sales of paid advertising. Finally, referred customers have a 37% higher retention rate overall, according to a research study by Deloitte. 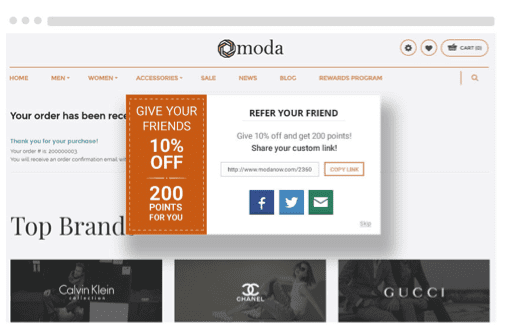 Customers who have already purchased a product from you can refer more actual customers to your ecommerce store. While a loyalty program improves customer satisfaction in your store, it also provides opportunities for you to remind and reward customers for leaving product reviews or using certain Instagram hashtags while posting photos about your products, to name just a few examples. This is the land of user-generated content that increases trust towards your eCommerce store and even helps customers to make purchase decisions faster. Ambassador reported that 88% of customers trust online reviews, so it’s worth investing your effort into this field. 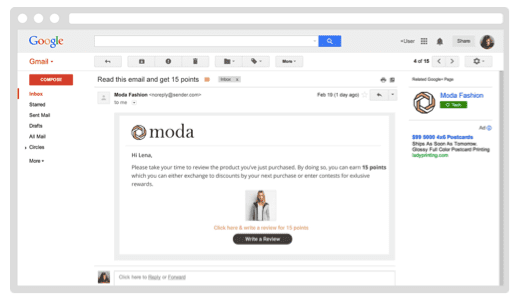 Loyal customers can be encouraged to leave product reviews for their purchased products in exchange for loyalty points. Okay, before you accuse me of being biased towards loyalty programs, let me share this stat with you: 77% of transaction-based programs actually fail in the first two years. The reason behind this tendency is the following: You can’t win customers’ hearts with discounts and special perks forever. Not only can your competitors offer the same monetary benefits, but always offering discounts is also ensuring a leaking money tank on your end. How you can avoid this failure? Loyalty programs are meant for your best customers. These are the top 20% of all of your customers, who can generate 70% more revenue by spending more over a longer period of time. But they aren’t just staying with you for the discounts - they’re staying with you because they LOVE you! And a loyalty program provides a perfect chance to deepen their engagement. The more they engage the more likely they are to promote your brand. Compared to non-advocates, they are 2-3 times more effective in persuading others to purchase from you. The 3 main values of loyalty programs that can help your eCommerce store increase your eCommerce revenue. A loyalty program’s main purpose from your point of view is to make more money by keeping your current customers. 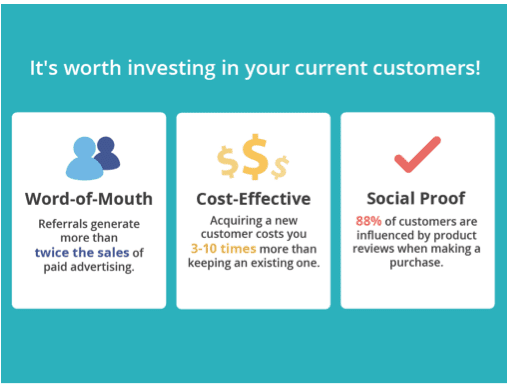 They can achieve this because they’re cost-effective, and they help to increase social proof, word-of-mouth and customer referrals. Loyalty softwares like Antavo, Sweet Tooth or Social Annex can do a great job. But you couldn’t increase your profit without focusing on your customers in the first place. So whenever you decide to launch a loyalty program, the most important thing is to plan it in a way that will really add value to your customers. Thanks to Lilach Bullock for sharing their advice and opinions in this post .Highly regarded on the world speaker circuit, Lilach has graced Forbes and Number 10 Downing Street with her presence! In a nutshell, she’s a hugely connected and highly influential serial entrepreneur. Lilach is consulted by journalists and regularly quoted in newspapers, business publications and marketing magazines (including Forbes, The Telegraph, Wired, Prima Magazine, The Sunday Times, Social Media Today and BBC Radio 5 Live). You can follow her on Twitter or connect on LinkedIn.